Making plans for your annual Easter egg hunt? Cater with Brownstone this Easter and leave the food and clean up to us so all you have to worry about is hiding those eggs! Wishing you all a very Happy St. Patricks Day! 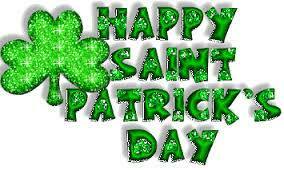 May you eat, sleep and wear GREEN today and show your spirit of the Irish! Brownstone is ready for St. Pattys….we are serving our famous green…”Pesto” eggs for breakfast! and the corned beef is in the oven slow cooking for a fresh “Corned Beef” sandwich at lunch! Wishing you the LUCK of the Irish!